Dr Mehrdad Nikfarjam MD, PhD, FRACS is one of the highest volume Liver, Pancreas and Biliary Surgeons in Australia. Practicing out of the Austin Hospital, Melbourne, he is instrumental in leading world class interventions and research into Pancreas and Liver cancer. 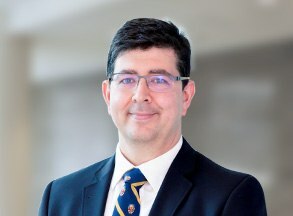 Dr Nikfarjam also holds a role as Associate Professor with the University of Melbourne, Department of Surgery. He has over 100 publications in peer reviewed journals which includes his work at Harvard University, Massachusetts General Hospital, Penn State University, Hershey Medical Centre and Case Western Reserve University, University Hospital in the USA. Dr Nikfarjam is a Fellow of the Royal Australian College of Surgeons, Founder of Pancare Foundation www.pancare.org.au a national not-for-profit organisation and a Director of the Australasian Pancreatic Club. Dr Nikfarjam has a particular interest in pancreatic, liver and biliary cancer, including treatment of locally advanced or borderline resectable cancer. He also has an interest in re-operative liver and pancreatic surgery and strongly feels that no patient should be denied the possibility of surgical cure, no matter how difficult the case may be. Dr Nikfarjam is an experienced, advanced minimally invasive surgeon who performs key hole and needlescopic gallbladder surgery. 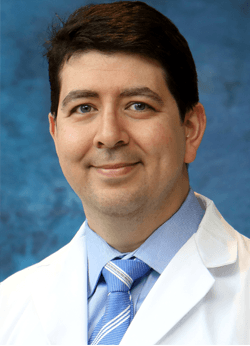 He also performs endoscopic retrograde cholangiopancreatography (ERCP) and deals with all aspects of benign and malignant bile duct, gallbladder, liver and pancreatic disorders. Dr Nikfarjam also performs laparoscopic hernia surgery. Dr Nikfarjam delivers world class surgery you can depend on. Furthermore this surgery is tailored to the specific needs on the individual based on world class best practice. Compassion, care, support and dependability are his core values and those of his practice.